Forensic Audio Analysis is the science of evaluating, clarifying, and authenticating audio recordings for the purposes of a hearing or trial. A well trained forensic audio expert can also conduct technical research to uncover and understand the methods and equipment used in the creation of the audio evidence in question. Audio forensics can also include the specialty of creating a forensic transcript of a recording. A forensic transcript is much more time intensive than a traditional transcript created by a court reporter. NCAVF works with recordings originated from digital audio recording devices, cell phones, police body worn cameras, phone wire taps, or even those old fashioned cassette tapes. What types of forensic audio enhancement can NCAVF do? How is a Forensic Transcript different from a transcript created by a court reporter? Traditional transcribers, such as court reporters, will not spend the time to transcribe difficult to hear material. If the audio recording has segments that are difficult to understand, a traditional transcriber will often skip entire words or statements, and indicate this omission using the phrase “unintelligible”. In many of these cases, it is often possible to transcribe what is said (even without audio cleaning) if the transcriber spends focused time and care to review the recording multiple times. If the audio is cleaned up to remove background sounds and to enhance voices this job becomes even more possible. Utilizing a forensic audio specialist to create a forensic transcript is a more accurate and precise process. Every case is unique. NCAVF prides itself in the ability to compose precise transcriptions from almost inaudible recordings. 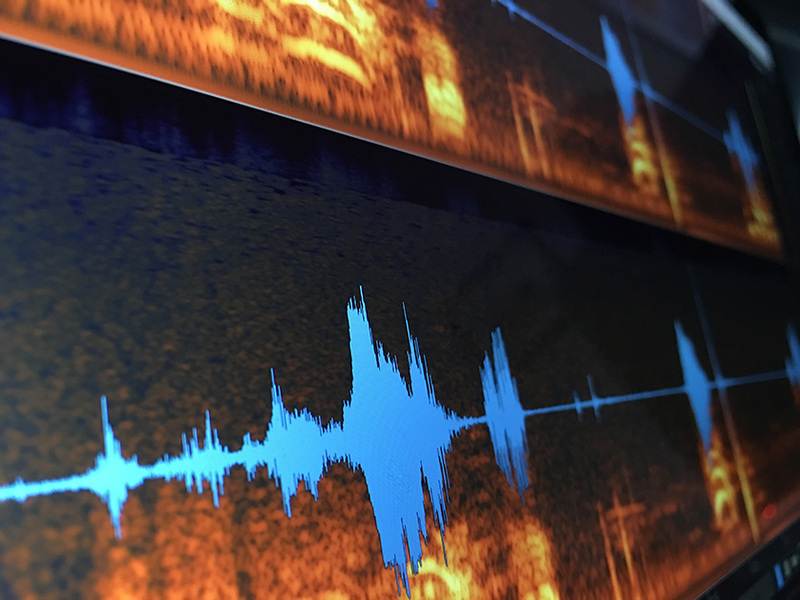 By utilizing both sophisticated software and hardware techniques to enhance audio, NCAVF gets results that are typically more precise and accurate than a traditional transcription service. What’s more, NCAVF will work closely with the people involved in the recording, which allows for a better understanding of the context of the incident in order to hear specific words and to understand what transpired in the audio recording. What audio recording mediums are you able to bring to NCAVF? Are you able to perform Voice ID recognition on an audio recording? Voice recognition (also known as speech recognition) involves cutting edge software and forensic techniques, and there are several methods used to confirm or disprove whether two or more recordings are of the same person. Voice recognition software utilizes complicated algorithms to process and compare a known voice sample against the unknown audio evidence. The software looks for commonalities in phonemes, style, accent, speed, and pronunciation. NCAVF also uses a human focused technique known as critical listening, which relies on a trained expert ear to determine patterns and correlations in speaking style in order to compare one recording to another. Does NCAVF testify in court for audio evidence? Yes. NCAVF has testified in court for many cases, covering an array of audio related evidence as well as other digitally recorded mediums. NCAVF is listed on the Los Angeles Superior Court Expert Witness Panel as an expert in the field of both Audio and Video forensics, and is approved across the country by civil and federal courts. NCAVF is available to testify about the authenticity of a recording, the methodology used in acquiring, editing, or enhancing audio evidence, or about the techniques utilized in creating a forensic transcript of audio evidence. Whatever the situation, NCAVF is ready to be your audio forensics expert on audio evidence.